Is it Right for Your Operation? That Depends, says EBDG’s John Waterhouse. Elliott Bay Design Group (EBDG) serves many ferry customers in North America. These clients read the trade publications and see various articles on new technologies such as hybrid propulsion, battery powered vessels or zero emission vessels. After finishing such an article they ask themselves: “What advantages would that technology bring to my operation and what will it cost?” To that end, EBDG developed some tools to help answer those questions. To calibrate the results, EBDG selected a long-term client, Pierce County, for whom the firm has previously designed and built two double-ended ferries. The county has published data on their operating costs so we can have confidence in using their information to evaluate how different technologies will impact both operating costs and capital costs using the geared diesel configuration as the baseline. The key to any ferry operation is to understand the route. 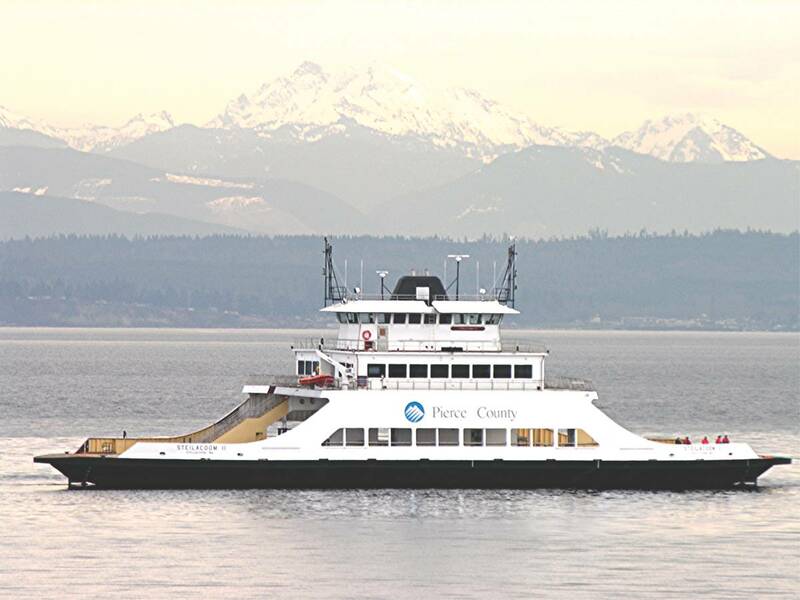 For Pierce County the ferry crosses between Anderson Island and the town of Steilacoom over a distance of approximately 3.5 nautical miles. With a service speed of 11.5 knots the vessel is underway for 21 minutes and in dock for 9 minutes for each half hour voyage. For the purpose of our study, an initial departure at 6 a.m. every morning and a total of 13 round trips per day were all used as assumptions. Costs were based on the ferry operating 350 days per year. 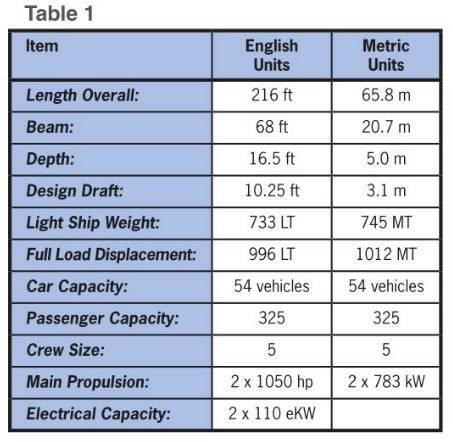 The characteristics of the ferry used for this study are shown in Table 1. EBDG has developed a spreadsheet tool called ShipCalc to develop initial estimates of vessel weight, powering, electrical demand, etc. ShipCalc uses weight and cost parameters based on the U.S. Navy Ship Work Breakdown Structure (SWBS). Resistance for displacement vessels is calculated using Holtrop and Mennen’s regression analysis. Inputs to the tool include the following variables: physical dimensions, route model, weight parameters, construction cost parameters, crew number and positions, areas and volumes, electrical loads and operating cost parameters. With the output values for the baseline vessel calibrated against actual cost number, EBDG proceeded to look at the propulsion alternatives. We assumed three 600 kW generator sets would take the place of two propulsion engines and two smaller generator sets. The SWBS parametric values for propulsion (SWBS 200) and electrical power and distribution (SWBS 300) were adjusted accordingly and all other SWBS parameters were kept the same. A 10 percent efficiency loss for the electrical power conversion was imposed, instead of a 2 percent factor that was used for the geared diesel arrangement. Fuel consumption rates (lbs/kW/hr) for the generator sets were also assumed the same as for the geared diesel arrangement. After running the diesel-electric case, the firm also looked at the impact of adding batteries to the system which allows energy storage overnight using inexpensive electrical rates. We assumed the battery banks would be a buffer in the system and that the generator sets would start once the batteries fell below a set charge level. We assumed lithium ion chemistry for the batteries with a minimum state of charge at 20 percent which results in a battery life of 8,000 cycles. With one day of operation equating to one cycle, this gives a battery life of 22.8 years. We did not assume any shore charging during the day due to the short time at the terminal. EBDG has also been working with Sandia National Laboratories on the feasibility of fuel cell propulsion for vessels. The fuel cells are existing commercial units that use hydrogen as a fuel and are packaged in cabinets, much like the battery racks, with an output of 120 kW per unit. We selected 10 units plus one standby unit, giving us a design capacity of 1,200 kW to drive the vessel. The fuel cells have an operating life of 10,000 hours at full load which equates to roughly 6 years life. Given the relatively large amount of fuel required, we assumed the hydrogen would be stored as a liquid at a temperature of 20 degrees Kelvin, using a single cryogenic tank and a regasification system similar to liquid natural gas (LNG). We made one major change to the design ground rules for the fuel cell option. The baseline vessel has sufficient fuel for 35 days of operation. This is due to the client’s need for reserves in the event of a major earthquake. The vessel actually refuels every two weeks but it carries the full weight of fuel. EBDG’s modeling adjusts the size and weight of the fuel for the different scenarios based on fuel consumption and the 35-day capacity. The fuel cell version cannot carry large quantities of liquid hydrogen (LH2) since LH2 has much less energy density than diesel fuel. We sized the LH2 storage tank to suit a resupply every four days with a 20 percent margin from a standard tank truck with a capacity of 3,200 kg of LH2. Battery costs are coming down. Our model assumed $1,000 per kW-H of capacity while some vendors are now looking at prices closer to $800 per kW-H.
Recharging during the day helps reduce the size and cost of batteries substantially. Electrical rates vary widely across the U.S. Our study assumed $0.0768 per kW-H. Many areas have price adjustments for transportation projects or environmental initiatives. Learn more about your local electrical utility! Battery life should be carefully evaluated. Given the rapid changes in battery technology, is a long battery life really the wisest decision? Fuel cell technology is real but the fuel is very expensive given the current sources of supply. As the hydrogen supply infrastructure develops, fuel cells will become increasingly attractive as an option, despite the complexities of cryogenic storage. Using solid data as input to the evaluation is essential to have confidence in the results. Work closely with your engineering service providers and the equipment vendors to ensure you are asking the right questions and getting valid results. 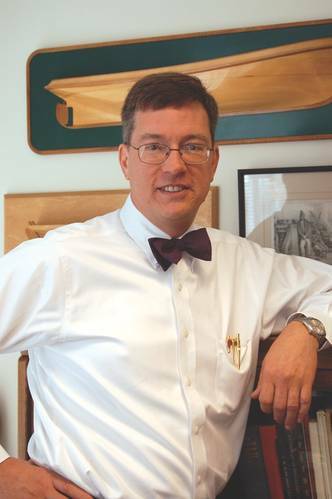 John W. Waterhouse is the Chief Concept Engineer and a founding partner of Elliott Bay Design Group. With more than 30 years of experience in naval architecture and marine engineering, he has made significant contributions to the industry through innovative design and engineering.